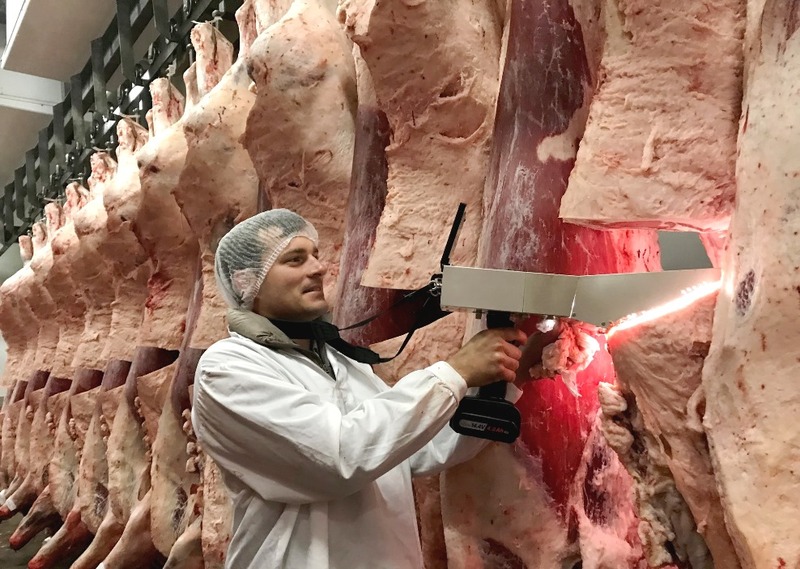 FIVE Japanese-designed objective carcase grading cameras have arrived in Australia, in the first phase of a project that could see almost all Wagyu carcases produced in this country being objectively graded for meat quality within two or three years. 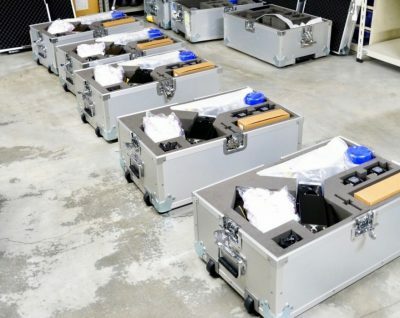 The Meat Image Japan (MIJ-30) cameras, pictured here being unpacked in Armidale, are part of a consignment of ten such cameras being delivered this year, with the Australian Wagyu Association aiming to order a further 20 units over the next two years to service the industry’s requirements. Last month the AWA sought expressions of interest from members to purchase one of the new MIJ-30 digital objective carcase cameras. The first five units have now been allocated to Wagyu supply chains, although their identities are bound by confidentiality agreements and could not be disclosed for this article. AWA chief executive Matt McDonagh said the association had attracted a successful first round uptake, and the second set of five cameras was now under construction in Japan. He suggested Australia would be the first Wagyu-producing country outside of Japan to implement the use of the MIJ objective grading cameras as part of grading. The cameras being purchased by the AWA would also be available for overseas-based members, which would help create a consistent, common language for Wagyu beef trading, globally. He said the technology was purpose-made for Wagyu applications where marbling was important. Correlations of above 80pc had been seen on Wagyu carcases analysed in trials so far, ranging from marbling score 1s up to 9+. But a carcase from any animal that is Wagyu influenced, or which has been on grain for 200 days or more, like longfed Angus, could certainly be graded under the MIJ camera, he said. Dr McDonagh said the implementation of the grading cameras would not replace graders in meat plants processing Wagyu cattle, however. “You still need somebody competent to pull the trigger,” he said. Camera operators could include abattoir employees who currently performed subjective grading of Wagyu carcases on behalf of Wagyu brand owners as part of a service kill, or employees of the Wagyu beef brands themselves. 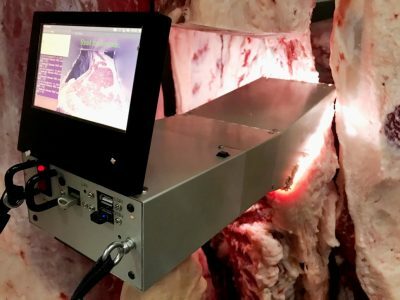 “AusMeat grading is a necessary function of gaining rights to access export markets, but the objective, accurate and repeatable grading information that is available through the MIJ cameras provides additional information which we believe will be beneficial to the support of high-value Australian Wagyu beef brands in the market,” Dr McDonagh said. Another big advantage will be the cameras’ ability to distinguish and accurately assess highly marbled carcases, beyond the current AusMeat MS range of 9+. “The critical part as far as Wagyu is concerned is that the currently-available Ausmeat marbling grades currently finish at the equivalent of about 21pc intramuscular fat, whereas on the Japanese grading scale, the figure extends much further – above 50pc intramuscular fat – typically identified as Beef Marbling Scores (BMS) 10, 11 and 12,” Dr McDonagh said. “For this reason the arrival and adoption of the cameras is really a playing field leveller for the Australian Wagyu industry,” he said. Australian Wagyu supply chains were now able to use Japanese objective grading technology on animals carrying Japanese Wagyu genetics, allowing them to compete with other Wagyu exporters on a more common trading language basis. Some Wagyu beef supply chains have up to now used their own in-house grading systems to try to overcome the issues with AusMeat grading, but the use of MIJ cameras would now much more accurately reflect the abundance of marbling in such carcases, Dr McDonagh said. Since the first MIJ trial cameras had arrived, more than 2500 Wagyu carcases had been imaged as part of the assessment process. The top performers among that trial group had in fact produced marbling scores of 14, under camera grading, based on IMF percentage. “For brand owners, the use of the cameras offers more flexibility in being able to differentiate product out at that ultra-premium end, and decide whether there is opportunity to market that product separately,” he said. The MIJ cameras are also equipped to assess and analyse the fineness of marbling present at the quartered rib site – a highly prized trait in Japan that is not considered under Ausmeat or MSA grading assessment. A strong correlation exists between marbling percent, as measured by the camera, and digital marbling fineness. Both contribute to marbling score. The AWA is selling the cameras to end-users at ‘cost price’, charging an annual fee to service, support and maintain each camera, and a per-image fee. “The sale model is about reducing the base cost of each unit as far as possible, and then each user uses the camera as much as they wish, being charged only for the image they take,” Dr McDonagh said.